These presentation slides 26347 are complete compatible with Google Slides. Simple download PPTX and open the template in Google Slides. 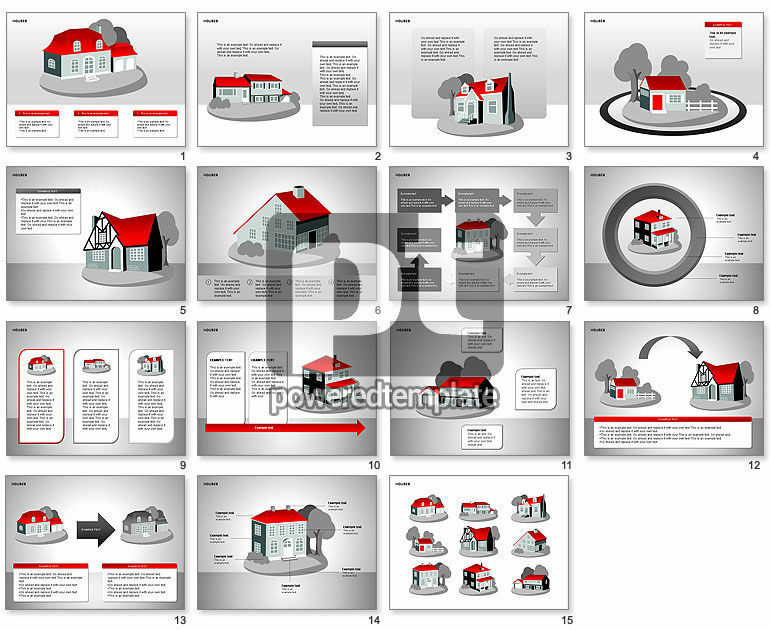 Great collection of slides with images of the private homes for presentations on real estate, realty purchase, house mortgages, house loans, private property, real estate agencies, real estate market overview, etc.